We’ve been asked to announce the death of Jean Moore, of Mount View Road, Onchan. She passed away on Wednesday 27th January, at Nobles Hospital. Beloved Wife of Terry, much loved Mother of Christine and Jeanette, Mother In Law of Keith and Nick, dearly loved Grandma of Daniel and Luke and a dear Sister of Pat. The funeral service will be held at St.Anthony's Roman Catholic Church Onchan, on Tuesday 2nd February at 10am, followed by a private interment. For further information regarding donations to Nobles Hospital Trust in lieu of flowers, please contact Eric Faragher Limited, 6 Main Road, Onchan by telephoning 673109 or 622897. We’ve been asked to announce the death of Cecilia Gladys Caine, aged 89 years, formerly of Governors Hill Douglas . She passed away on 26th January at Nobles Hospital. Beloved Daughter to Seth and Susan, much loved Sister to Olive, Mary and the late Audrey and Seth and a loving Aunt. The funeral service will be held at The Douglas Borough Crematorium on Thursday 4th February at 11.30am. We’ve been asked to announce the death of Haydn Minay, aged 78 years, of Bray Hill, Douglas. He passed away on Thursday 21st January at Nobles Hospital. He leaves a Wife Marion, Sons Nigel and Kevin and families. The funeral service will be held at St. Ninians Church Douglas on Friday 29th January at 11am, followed by private cremation. 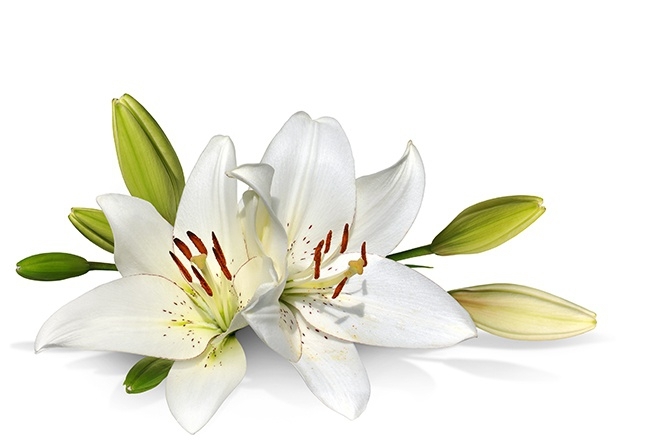 For further information regarding donations to Hospice Isle of Man in lieu of flowers, please contact Kissack's Funeral Directors Crosby, by telephoning 851377. We’ve been asked to announce the death of John Fisher, of Hackett Close Onchan. He passed away on Saturday 16th January, at Nobles Hospital. Beloved Father of Steven, Jon-Paul, Oliver and Hazel. Dearly loved Grandad of Maile, Brad, Lewis, Abby, Finlay, Charlie and Cole. The funeral service will be held at The Douglas Borough Crematorium on Friday 22nd January at 12.15pm, followed by cremation. We’ve been asked to announce the death of William Teare aged 79 years, of Ballakelly Farm, Kirk Andreas. He passed away on Friday 15th January at his home. Husband of the late Edna. Father of Tracy and Alan. Father In Law of Gary and Rachel, Grandfather of Nicola, Emma, Alice and Harvey. The Funeral Service will be held at Andreas Church on Monday 1st February at 2pm, followed by Interment. We’ve been asked to announce the death of June Flanagan aged 74 years, of Willaston, Douglas . She passed away on Thursday 14th January at her home. She leaves Daughters Tina, Colese, Lorraine, Julia and families. The funeral service will be held at The Douglas Borough Crematorium at 11.30am on Wednesday 20th January, followed by cremation. We’ve been asked to announce the death of Juan Gilmour, of Birchill Crescent, Onchan. He passed away on Wednesday 13th January, at Nobles Hospital. Beloved Husband of Jen, loving Dad to Alison and Voirrey, Father in Law of Kev and devoted Grandad of Paige, Kanyeba and Ntshila . The funeral service will be held at The Douglas Borough Crematorium on Thursday 21st January at 1045am, followed by cremation. For further information regarding donations to The Royal Artillery Association in lieu of flowers, please contact Eric Faragher Limited, 6 Main Road, Onchan by telephoning 673109 or 622897. We’ve been asked to announce the death of Irene Graham, of Douglas Street Peel. She passed away on 12th January at her home. She leaves a Husband Joseph, Daughter Sandra, Son Nigel, Son in Law Danny, Daughter In Law Rena, Grandchildren and Great Grandchildren. The funeral service will be held at Peel Methodist Chapel on Monday 18th January at 1pm, followed by a private burial. We’ve been asked to announce the death of David Corkhill, aged 43 years, of Baldwin Road, Willaston. He passed away on Monday 11th January at his home. He leaves Parents Anne and Dave, Sisters Nuala, Fiona, Catherine and families . A Requiem Mass will take place at 1.15pm on Friday 22nd January at St Mary's Church Douglas, followed by cremation. We’ve been asked to announce the death of Susan Collister, aged 61 years, of Castletown. She passed away on Monday 4th January at her home. She leaves a Husband Colin. Mother of Andrew, Lee, Robert and Tracy. A dear Grandmother and Great Grandmother. The Funeral Service will be held at The Abbey Church Ballasalla on Saturday 9th January at 2.30pm, followed by Interment. For further information regarding donations to the M.S.P.C.A.in lieu of flowers, please contact Alfred Duggan and Sons, The Manor Chapel of Rest by telephoning 673328. We’ve been asked to announce the death of Arthur Miller, aged 74 years, of The Corrin Memorial Home, formerly of Peveril Road Peel. He passed away on 2nd January at Nobles Hospital. Beloved Husband of the late Cheryl, Dad of Catherine, Stephanie, David and Jenny, he will be sadly missed by all family and friends . The funeral service will be held at Peel Methodist Chapel on Friday 8th January at 1pm, followed by burial . We’ve been asked to announce the death of Ian Corkill, aged 83 years, formerly of Sulby. He passed away on 1st January at Nobles Hospital. He leaves a Wife Betty, Daughter Fiona, Son Tony and families . The funeral service will be held at St. Pauls Church Ramsey, on Friday 8th January at 2pm followed by interment.